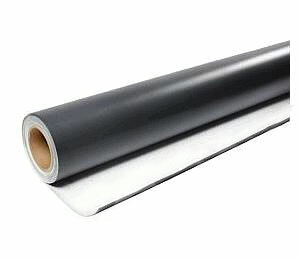 PRODUCT: TPO ROOFING MEMBRANE, 45 MIL, REINFORCED, 10' WIDE x 100 FOOT ROLL. PRICE/ROLL. WeatherBond TPO is .045” thick white, reinforced single ply roofing membrane. TPO single ply roofing is designed for all types of commercial and residential single-ply roof construction and re-roofing applications. Paint Roller Cover, 9-inch, 1/4 nap, 1-1/2 ID, Solvent Resistant Polyester NPa and Core. For use wiht all types of coatings including solvent based coatings, epoxies, and urethanes. Price/Each.